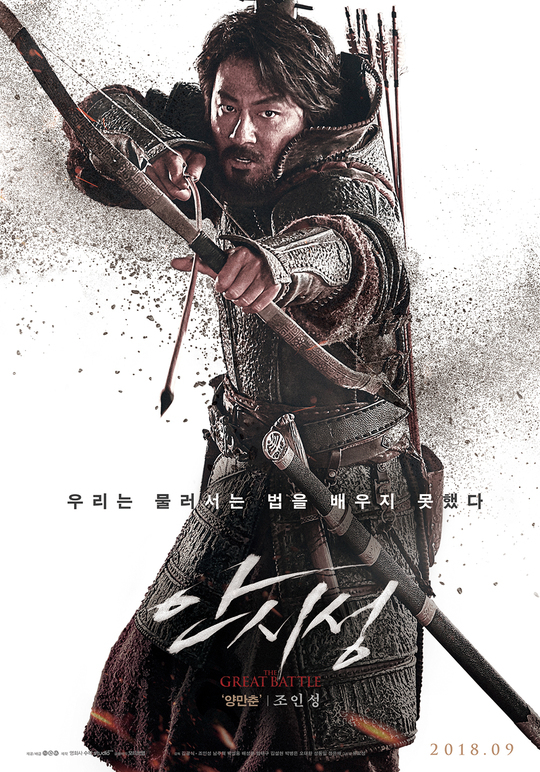 Here’s 9 character posters from upcoming movie “The Great Battle.” The character posters are of Zo In-Sung, Nam Joo-Hyuk, Park Sung-Woong, Bae Sung-Woo, Um Tae-Goo, Seol Hyun (‘AOA’) , Park Byung-Eun, Oh Dae-Hwan and Jung Eun-Chae. 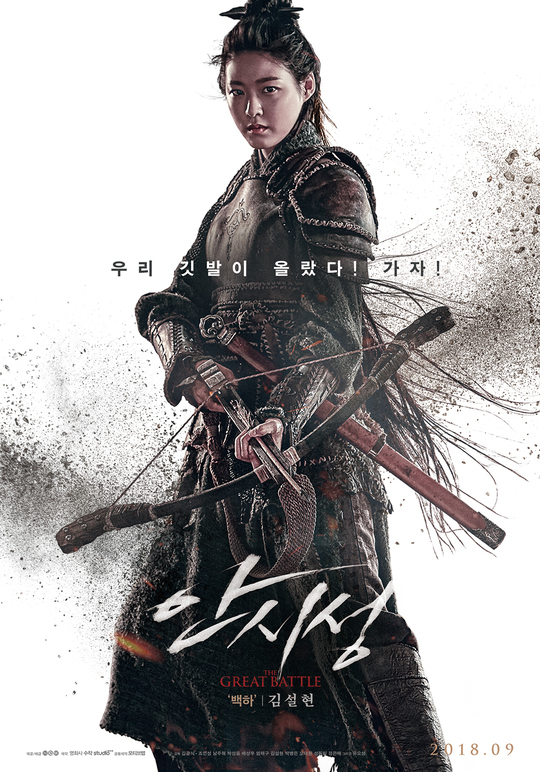 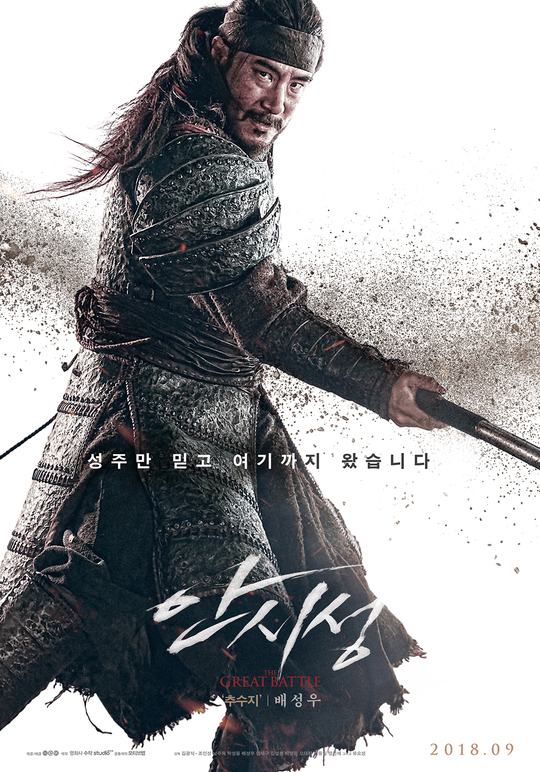 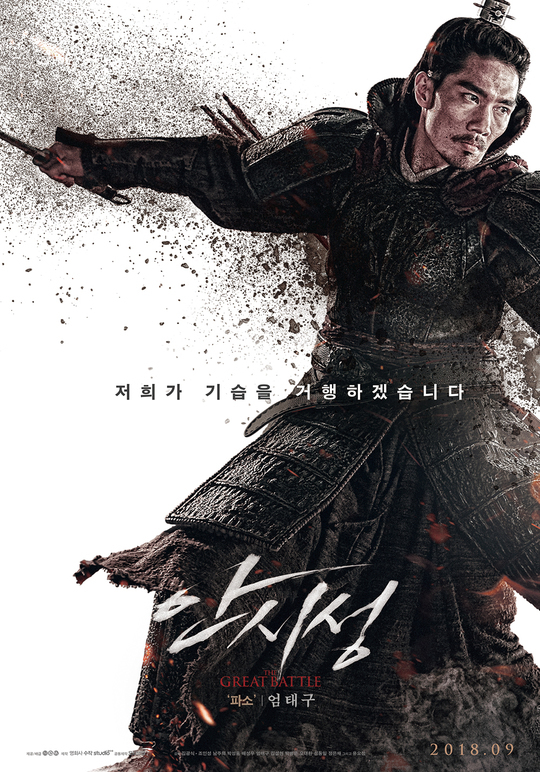 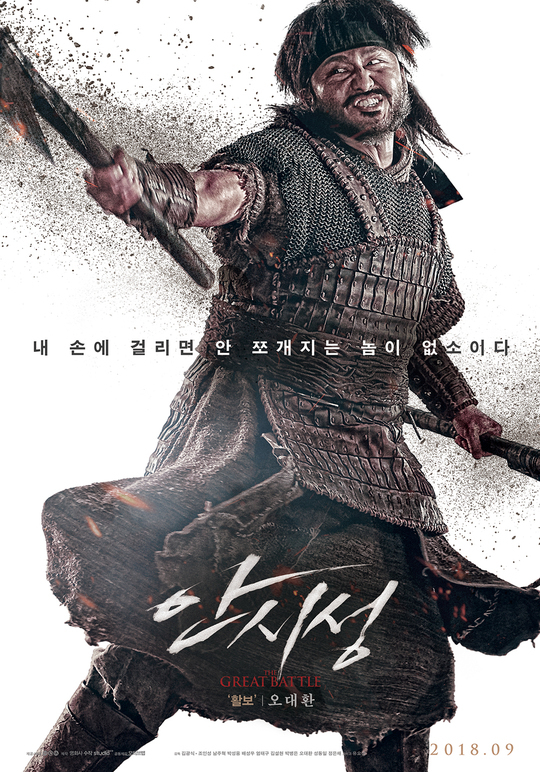 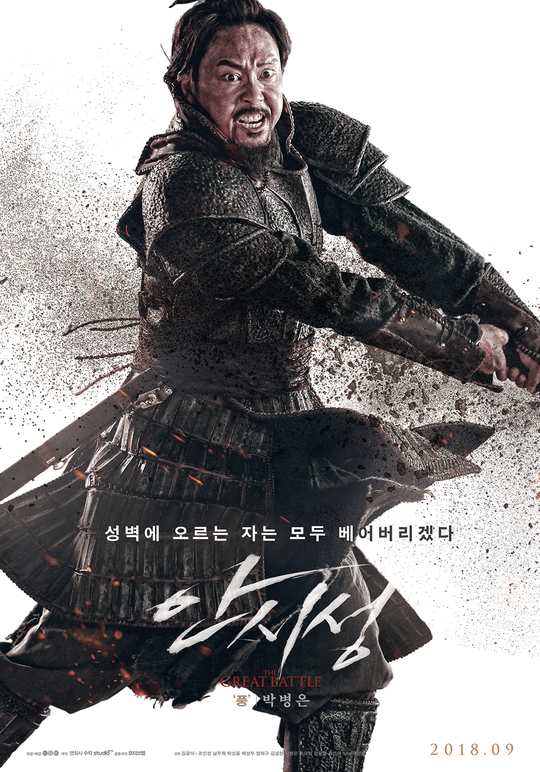 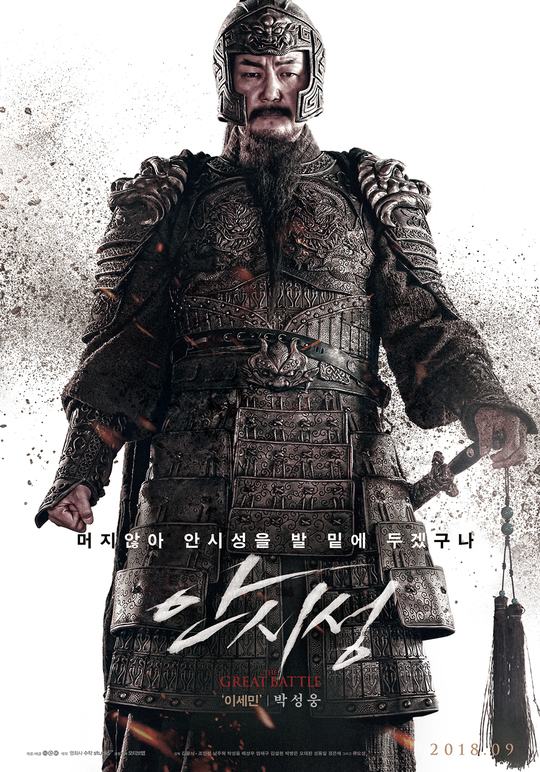 Caption on Zo In-Sung’s character poster states “We did not learn how to retreat.” The film follows a battle that took place over 88 days as Goguryeo soldiers tried to defend Ansi Fortress from Tang forces. 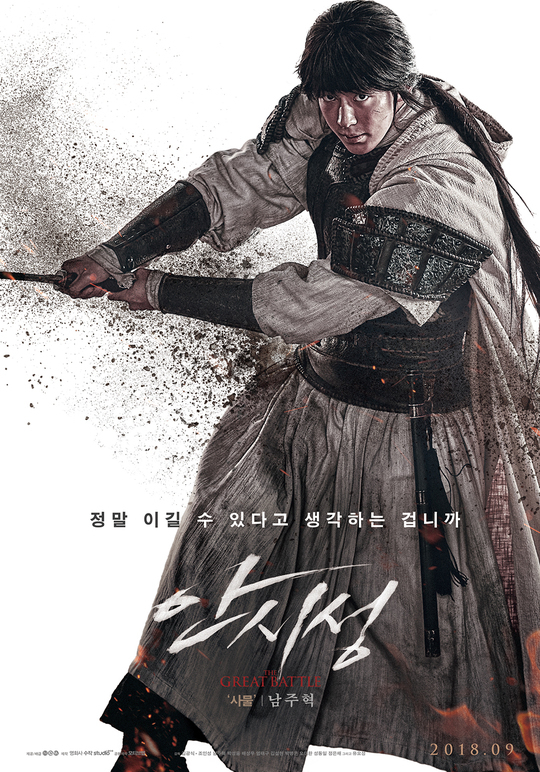 “The Great Battle” will be released September 19, 2018 in South Korea.